Amazon has the 2019 Planner – Academic Weekly & Monthly Planner, Twin-Wire Binding with Flexible Pocket Cover, 12 Month Tabs (DIY), 8″ x 10″ – Lemome priced at $8.99. 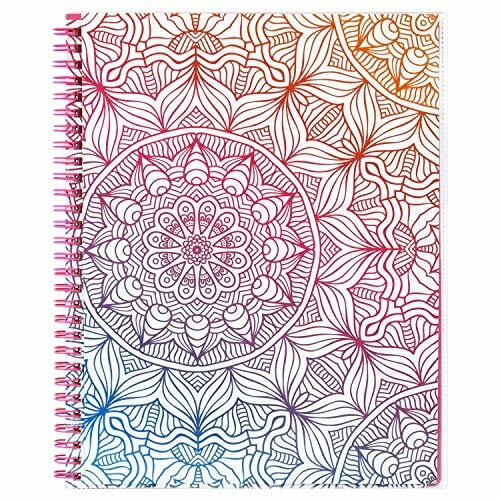 Get 55% off with code V8I82LG5 and snag this sweet planner for only $3.99 with free shipping. CREATIVE & ORGANIZATION ALL IN ONE – Weekly/monthly planners which covers 12 months from January 2019 – December 2019. Planner features full monthly view pages for each month. Separate pages with full weekly view for more detailed planning. MONTHLY PLANNING- Each month covers 2 full pages and Julian date. The 1.75″x1.75″ lined blocks offers enough space for each day planning in every month. Past, present and next months reference on weekly pages. There is a column on the right-hand side of the page for add notes. STURDY AND STYLISH – Take charge of your schedule with unique style and sturdy design. High quality covers and twin-wire binding to keep pages secure for prolonged use. Bonus: distinctively great colour 12 month tabs makes you get a simple way to make accessing information a breeze. CREATE YOUR OWN COVER – With the clear front sleeve cover you can keep your favorite pictures, important notes or lists handy right in front of your planner. SATISFACTION GUARANTEE – If you don’t love it for any quality reason, just return it and we’ll replace it or send you a refund. Give us a chance and let us show you a great FULL 2019 Monthly Planner experience!